Former governor of Benue State, Gabriel Suswam’s kinsmen, yesterday, trooped out in their numbers to endorse his successor, Governor Samuel Ortom, for a second term in office. 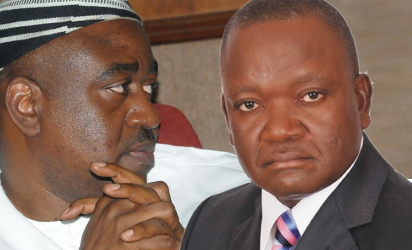 Led by the lawmaker representing Logo, Ukum and Katsina-Ala federal constituency in the National Assembly, Mr. Emmanuel Udende, the group declared that their unalloyed support for the Ortom’s administration was out of their conviction that the present administration has performed exceptionally. Responding, Governor Ortom, who restated his acceptance of the divine call to contest for re-election in 2019, said he remains committed to providing purposeful leadership to Benue people with the fear of God, which he said would translate to development for the state. Among those who spoke at the endorsement rally were former lawmakers, Hembadoon Amena, Godwin Akaan and Godwin Akaan.